With blueberries arriving from South America I thought it would be a good time to cover some of the more common defects you may find. Yes, it is true that most blueberries are run over a grading line before they are packed. 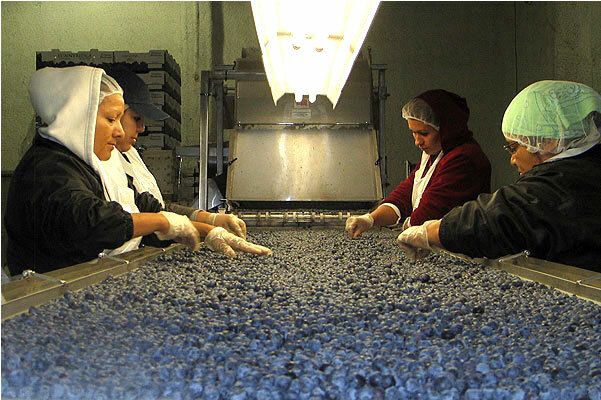 But as you can see from above, the process of grading out all defective blueberries is quite challenging. Most likely a few defects will slip by. Aside from a few scars, and blueberries with attached stems, one of the most common defects is soft or overripe blueberries. Unfortunately showing you a picture of a soft blueberry would be pointless, you have to physically pick up and roll and the berry in your hand to feel for a soft berry. Soft berries may be leaking juice, may be shriveled, but they also may look exactly like every other blueberry in the container. You have to open up the clamshell and feel for soft berries. One defect you should be able to identify rather easily is shriveling. To be scored as damage by shriveling the USDA states the shriveling must be readily noticeable. In other words if you can see the shriveling, it is a defect. 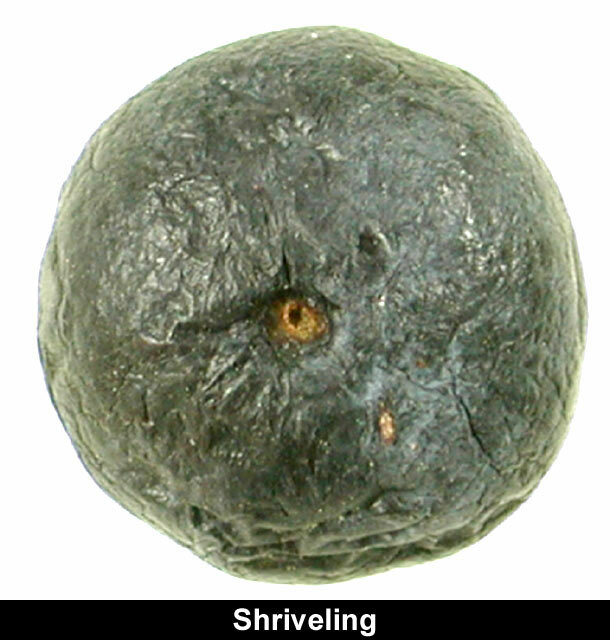 If the shriveling is severe enough, as pictured above, the shriveled berry is scored as serious damage. And lastly, it is important to dump the blueberries from the clamshell when inspecting. From the image above you can clearly see two areas on the pad which show evidence of leaking or decayed blueberries. But just looking at the sample they all appear fine; you must pick up each berry individually to find (and feel) the defects. 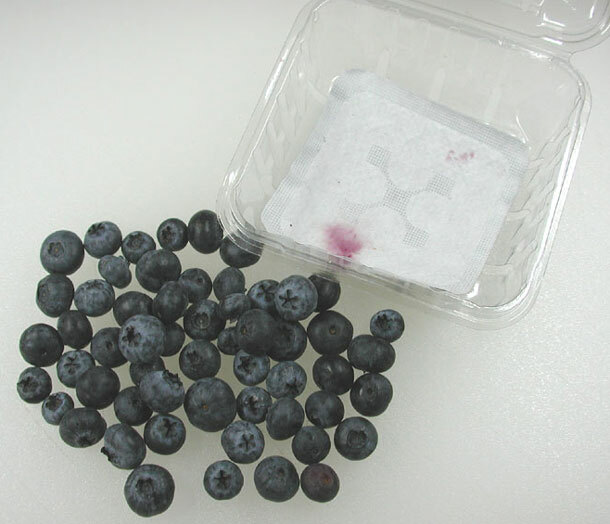 Nice Blog and write up on common defects found in imported blueberries. The logistics of getting the blueberries to market greatly impacts the quality. Keep up the good work.